TY Thursday: Here's To You, Generous Donor! - Communicate! You are here: Home / Nonprofit / TY Thursday: Here’s To You, Generous Donor! TY Thursday: Here’s To You, Generous Donor! 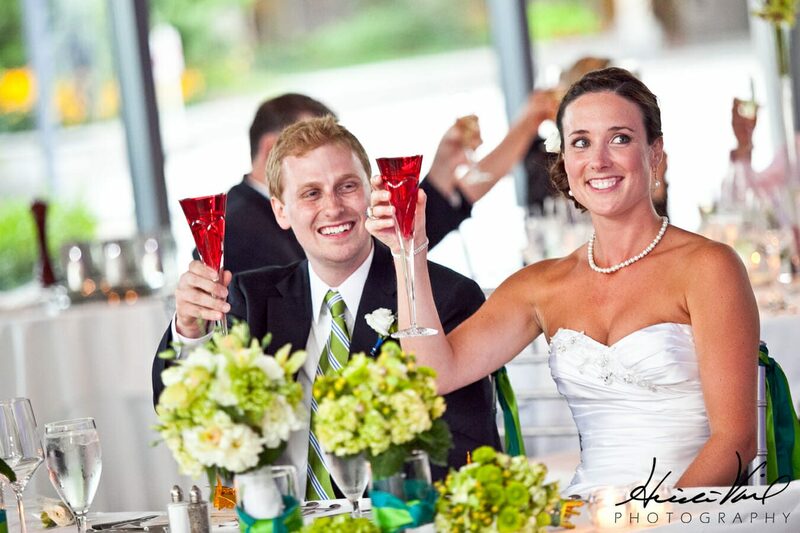 What do we do at weddings to make the bride and groom feel extra special? We make a toast. The essence of a toast is not the liquid you drink. It’s the words you say. A toast lets people know that you believe they’ve done a great thing. You’ve taken the time to be there and the thought to put together your speech. Both your time and your thoughtfulness lift the occasion out of the ordinary…and honor the person you’re saluting. A toast shows that you know the person you’re honoring. That’s why the best man, the maid of honor, and the parents are logical choices to give toasts at weddings: they know what the bride or groom likes, and they have revealing stories to tell. The more you know about your donor, the better you can be at thanking them. A toast reaffirms a relationship. When you speak publicly about what the donor has done, in a way that shows you value them as a person, you make them feel closer and more loyal to you in return. That’s why, even if your organization is alcohol-free and you raise a glass of sweet tea instead, a toast is a unique way of thanking your donors. Don’t Wait for the Gala! Between the time you receive the gift and the time you hold an event, it might be months. Like a glass of bubbly that sits out on the counter, your toast might lose some of its savor if you wait that long. It will still be sweet, but a lot of the fizz will go out of it. You don’t have to wait. Take out your camera and make a one-minute video toasting your donor. Then, post it on your website. Or send it through your social media. If you think the donor is shy, email it to them. They will probably still share it with their family and the people closest to them. They may even take it out and play it again from time to time, just for themselves. Like a wedding video. You should plan to thank your donors throughout the year. But how? Every Thursday, I’ll share a different idea. Follow TY Thursday!